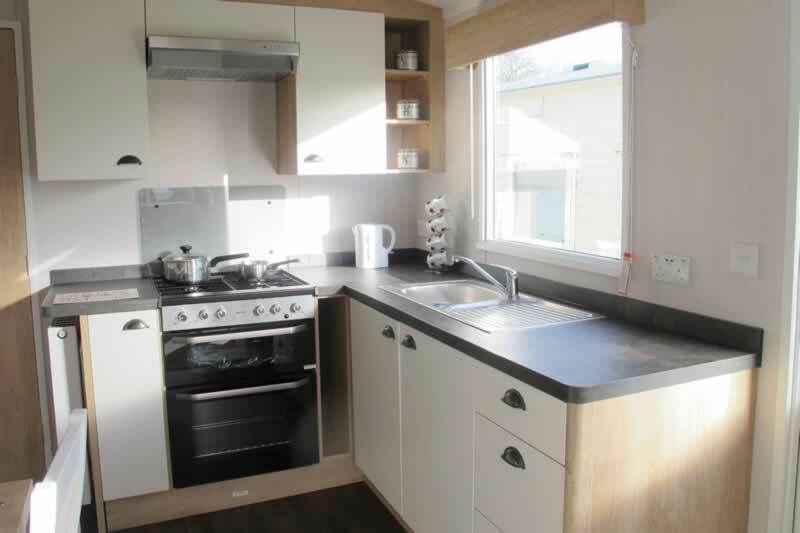 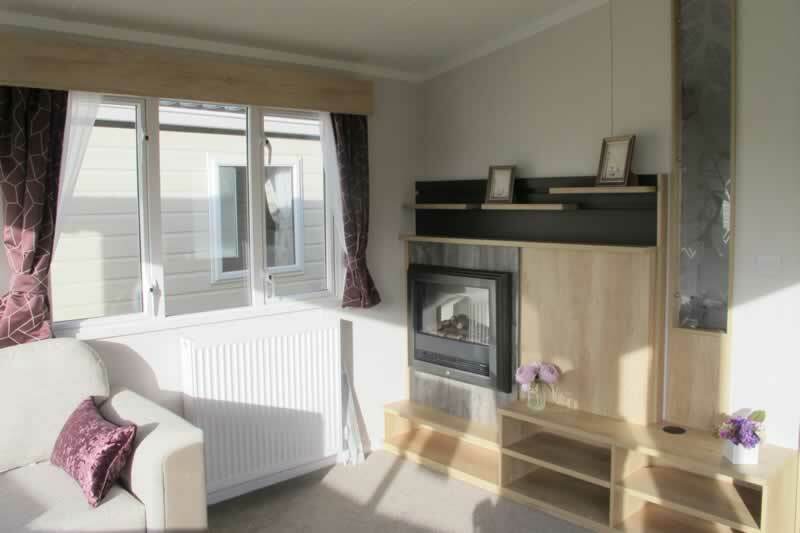 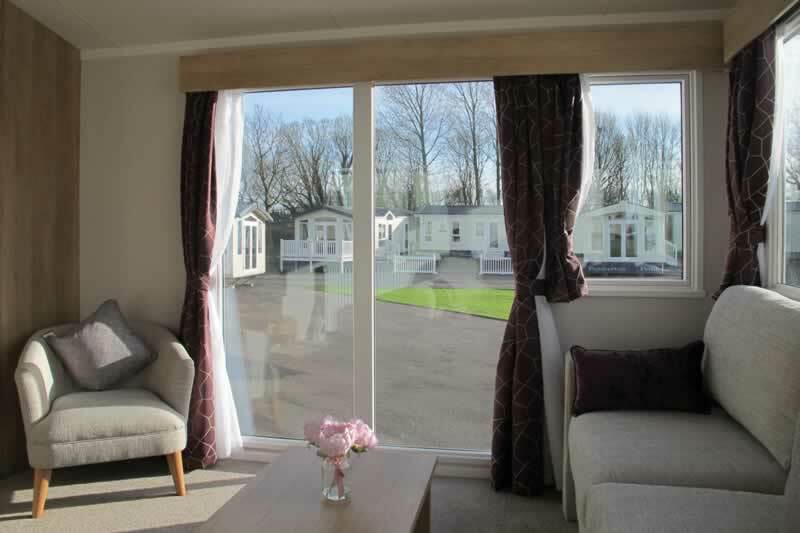 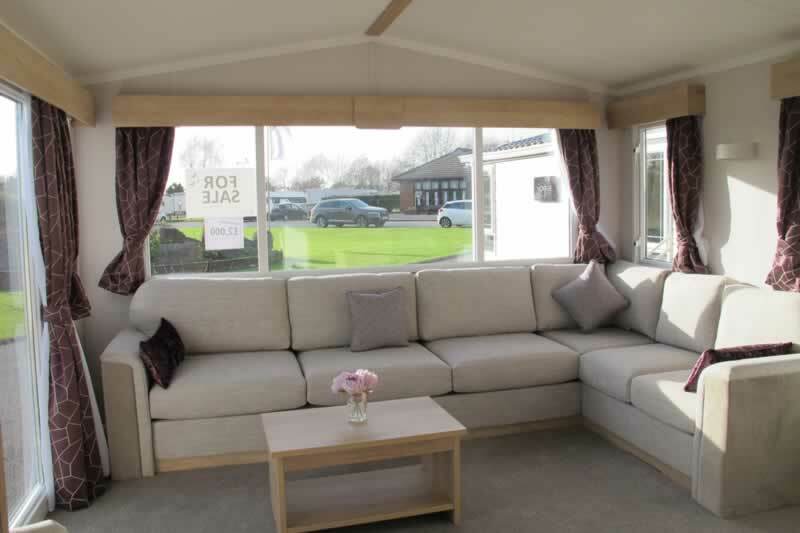 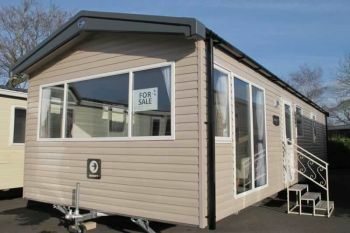 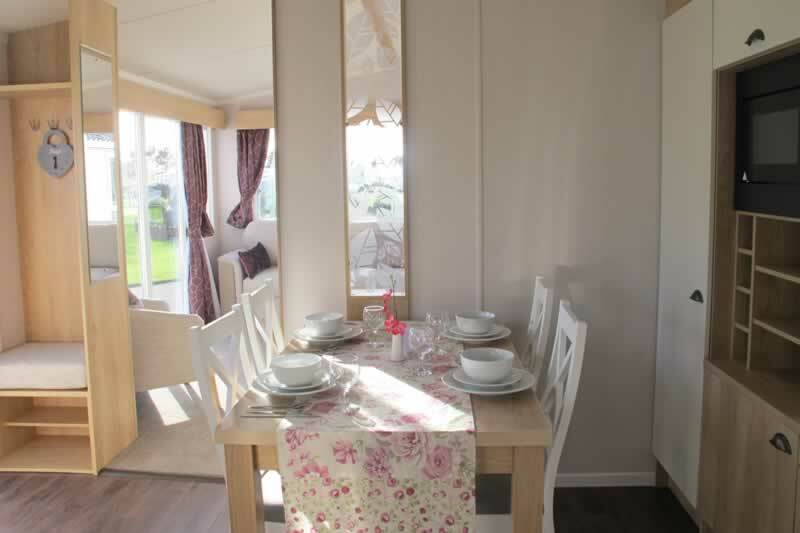 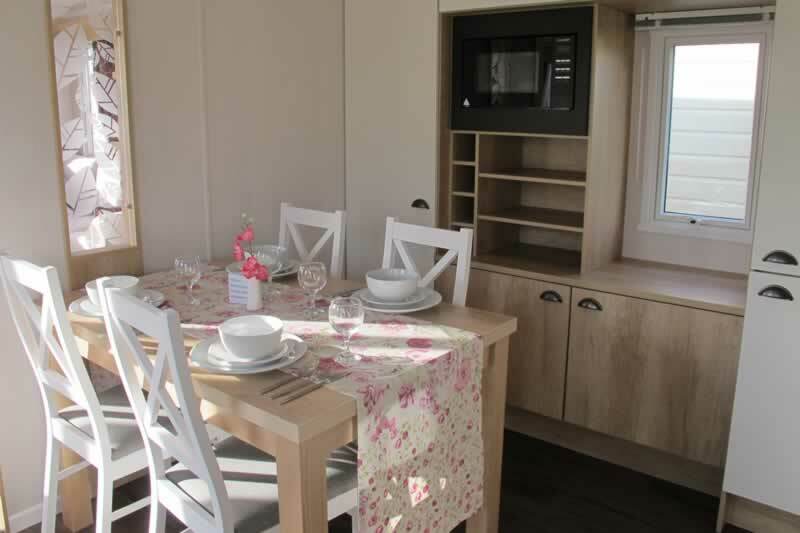 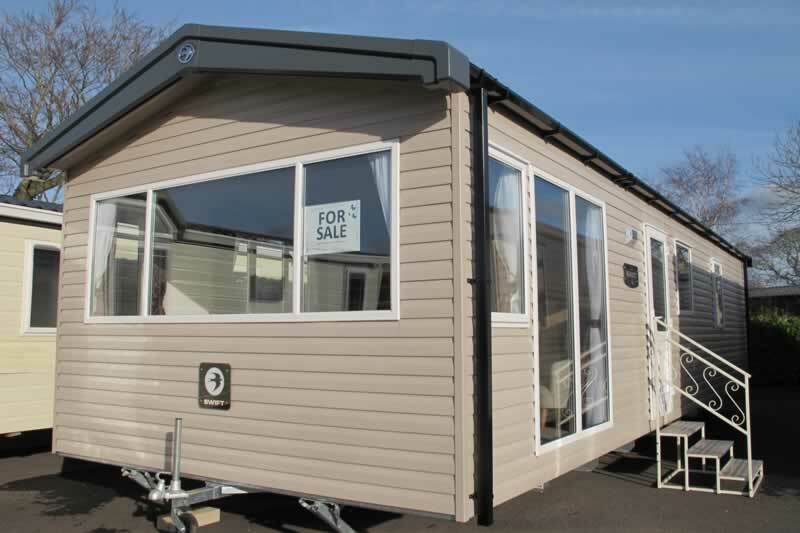 The new Swift Biarritz is the ideal choice for stylish, good value family accommodation. Freestanding dining table and 'Rochelle' chairs. 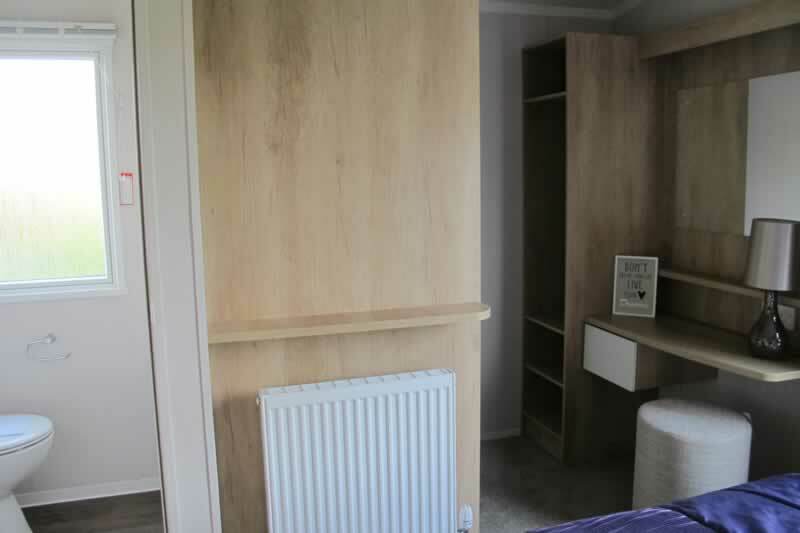 Master bedrrom ensuite with king-sized double bed with lift up storage; bedside cabinets and overbed storage; vanity area with mirror. 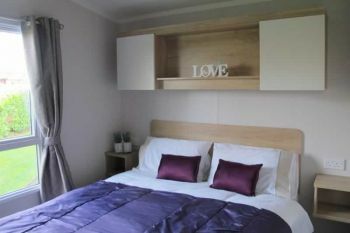 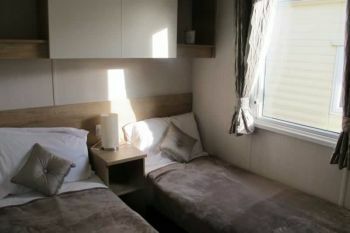 Twin bedroom is of a good size with again plenty of storage. Family bathroom includes large shower cubicle with glass sliding door and thermostatic showe; WC and wash basin.